Our product range includes a wide range of mica coated ceramic fabric, vermiculite coated ceramic fabric, vermiculite coated ceramic fiber tape and non asbestos cloth. Welding Blankets are manufactured with ‘E’ fiber glass & ceramic fiber glass with different coating like graphite, Mica, silicon & PTFE. 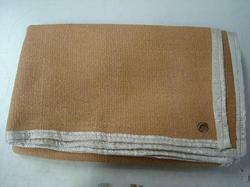 Based on such high quality raw material, these welding blankets display optimum life and endurance. In addition to this, the offered range is available in 0.6 mm to 3mm desired thickness and is made stiched using kevlar thread. Available with loops & eyelets, this range is best suited for protecting the machines where heavy welding is done. This fabric has a very high MICA content (10 to 12%). 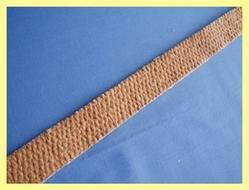 We offer wide range of products of which include vermiculite coated ceramic fiber cloth used for various application. This tape has a very high vermiculite content (10 to 12%). 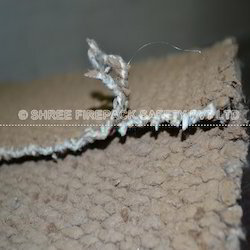 Non Asbestos Cloth offered are developed by us using 100% asbestos free material and feature low temperature resistance to about 200 c. This can further be enhanced on special treatment as requested by the customers. These are extensively used in industry sectors like Thermal Insulation, Refineries, Textile Machinery, Power Stations, Textile Machinery, Power Stations and other sectors. Further, we also check these for usage efficiency, strength and flexible usage support. Looking for Vermiculite Coated Ceramic Fabric ?